View Cart “Guess How Much I Love Seattle” has been added to your cart. SKU: BP57009. Category: Childrens. Tags: children's book, president, President Benjamin Harrison, White House. 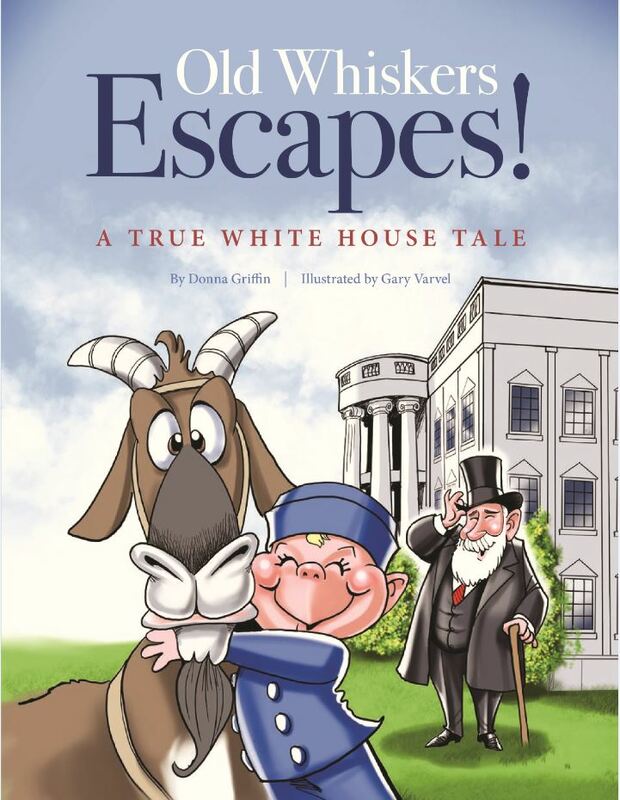 Old Whiskers Escape tells the true story of President Benjamin Harrison’s pet goat that lived on the White House grounds. This book was written for the delight of children and illustrated by political cartoonist, Gary Varvel. The goat often was spotted taking the president’s grandchildren on wagon rides on the lawn but one day escaped with Grandson Baby McKee in tow. President Harrison, upon discovering the goat was missing, went running down Pennsylvania Avenue in hot pursuit, his top hat in one hand and cane in the other. The story, delightful in its own right, will offer readers surprising insight into Indiana’s only president, the popularity of presidential pets at the White House during the 19th Century, and the enduring relationships between grandparents and their grandchildren—regardless of grandpa’s station in life. At the end of the story, there are fun facts about President Harrison. Donna Griffin lives in Greenfield, Indiana. She has been a writer, editor, and teacher for more than thirty years. A native Hoosier, she served as editor and general manager of the Times-Post weekly newspaper in Pendleton, Indiana, and other Central Indiana newspapers for sixteen years, owning and operating her own weekly newspaper. Griffin is the author of The Twelve Days of Christmas in Indiana published in 2014. Garu Varvel is a political cartoonist for the Indianapolis Star. He has been the editorial cartoonist for The Start since 1994. Previously he was chief artist for The Indianapolis News for 16 years.